KinetaFlex - Commercial Flooring & Mats Vancouver | Source Floor & Specialties Inc.
Boost employee productivity and comfort. 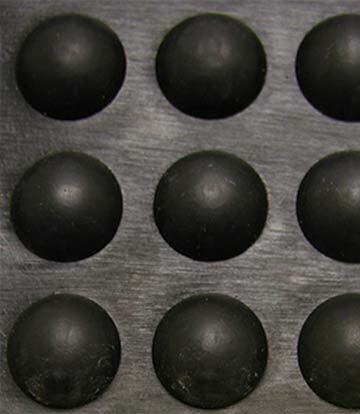 We carry and supply a huge variety of specialty rubber matting products. 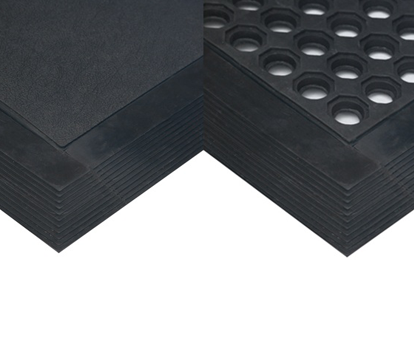 KinetaFlex nitrile rubber bubble mats provide the outstanding comfort of regular bubble mats with the specialty construction and grease-resistance of 100% nitrile rubber. KinetaFlex bubble mats offer integrated beveled edges, 5/8″ thickness, and are rated for medium to heavy duty applications. Let us know and we’ll get back to you quickly. Slip-resistant reversible rolled rubber for wet areas. Pebbled and Ribbed light duty mats. Contract cutting services and custom mat shapes. Super HD carpet-style dryer/scraper matting. Spark and flame resistant antifatigue matting. Protect your wall corners from impact damage. Extra-heavy-duty vinyl matting for extreme traffic. 1-13/16" thick aluminum grid matting.